This Headline sign allows you to easily communicate your hours of operation to customers. 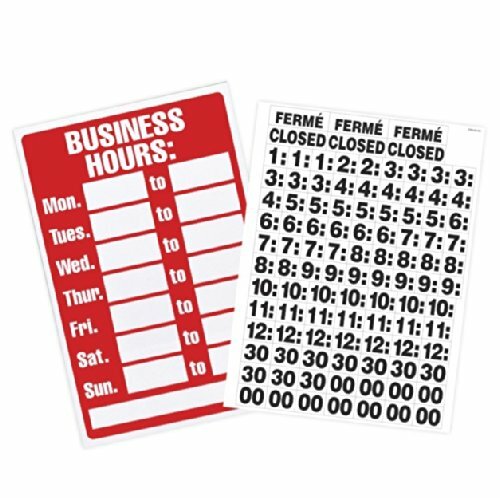 This 8 inch x 12 inch durable plastic sign features easy-stick adhesive times to customize your hours of operation. An exterior sign is the first opportunity to express yourself and your corporate identity. Whether it is in the front window or in the front yard, Headline exterior signs make a great first impression!